Summer is here! Surface water temperatures have warmed to 14-15 °C. Widespread algae bloom in Main Basin. Puyallup River discharge is very large. Extensive phytoplankton blooms in Central and South Sound, large patches and strands of macroalgae in South Sound/southern Central Sound. Description Summer is here! Surface water temperatures have warmed to 14-15 °C. Widespread algae bloom in Main Basin. Puyallup River discharge is very large. 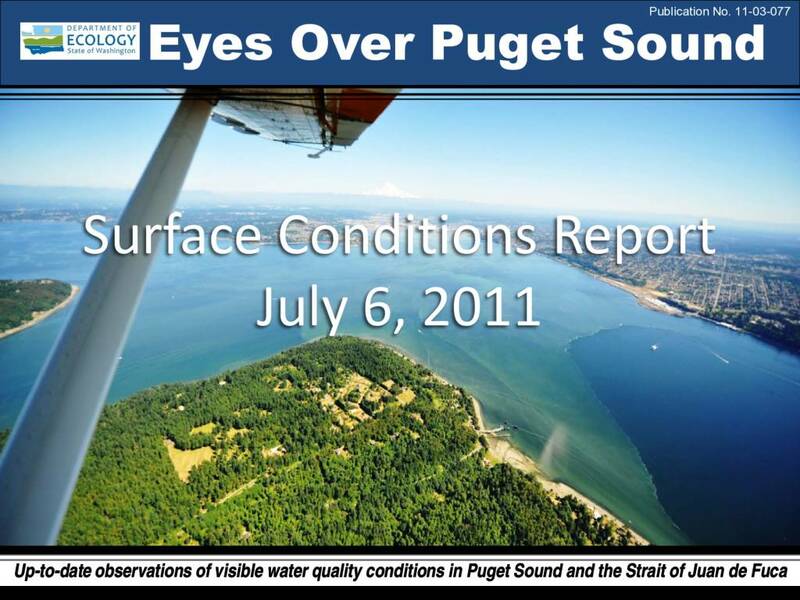 Extensive phytoplankton blooms in Central and South Sound, large patches and strands of macroalgae in South Sound/southern Central Sound.